About seventy percent of Americans do not have a will. Many procrastinate. They believe they do not have enough assets or they simply do not want to consider their own mortality. Failing to have a will permits the state legislature’s rules to govern. Without a will, critical issues such as family support, distribution timing, guardianship of minor children and estate tax issues are left to an inflexible system dictated by state and federal statutes. A carefully drafted, considered, and planned will can make certain that personal and family goals are furthered after death, in accordance with the testator’s desires and not according to the rules of the state intestacy laws. Addressing those issues can provide a testator peace of mind. 1. Allows property to be transferred according to the testator’s wishes, avoiding state intestacy laws, selecting the beneficiaries and details of specific property they are to receive. 2. Permits a parent, instead of the government, to choose a guardian for minor children or other dependents, such as a handicapped adult child. 3. Can provide for differing distributions, as state law would not. A testator may wish to leave more to a handicapped child or other relative rather than to a healthy successful child. Such important distinctions can be made only with a will. 4. Enables the testator to name an executor to administer the estate which can minimize probate and the related expenses. 5. Can lower estate settlement costs, minimizing estate taxes, waiving probate fees and bonds for the executor and streamline the disposition of estate assets, allowing a greater portion of the estate to pass to the beneficiaries. 6. 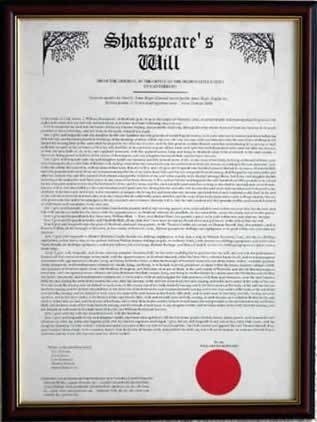 Provisions in a will can delay distribution of a minor child’s share of the estate to an age deemed appropriate by the testator and give the executor direction on when the child’s share is to be distributed. 7. Allows a testator to be certain gifts to specific individuals or charitable organizations will be given. The testator is able to leave a legacy reflecting his/her values. 8. Can authorize the executor to operate a business owned by the testator until the estate is settled, with no exposure to personal liability on the executor’s  part. 9. Reduces the risk of dissension among the survivors. A clear direction from the testator can avoid family arguments over an inheritance. 10. Lessens the burden on survivors and loved ones. At the testator’s death, they will have to handle the decedent’s personal affairs. Without a will, this job is much more difficult and may complicate probate issues or in the worst case scenario lead to costly civil litigation. Creating a will is an act of consideration for those left behind. There is difficulty in thinking about one’s own mortality. Planning for one’s own death is at best unpleasant. Distribution of major assets and detailed consideration of care and guardianship for minor children is tedious. One aspect of creating a will may bring smiles, pleasure and joy. Most people have items near and dear to them. These are as varied as human beings. The items may be work tools, golf clubs, a doll collection, or art. Perhaps there are family heirlooms or jewelry. While dealing with the major technical aspects of a will such things are often overlooked. They should not be. Frequently such special personal items have a meaning to another person close to the testator. 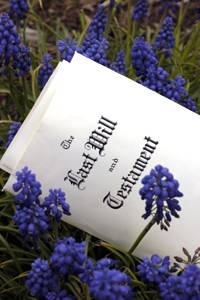 A will should have section for specific bequests. In this section, for example, a granddaughter can be given a special ring, a nephew a set of baseball cards, or a close friend a special teapot. Considering memories attached to such items and the people to whom they are meaningful can bring smiles and warm feelings. Such bequests will bring smiles to remembered beneficiary. It is possible to make such gifts while someone is alive, and many people do. The impact upon recipients of having been remembered in a will sends two messages that a gift while alive is not likely to send so clearly. First, how near and dear the recipient was and second the value the testator placed upon the item. The chance for specific bequests is not to be overlooked. Life situations change over time. There are births, deaths, marriages, divorces. Close relationships close grow distant. The testator may move. A will compliant with state law where it was made may not comply with state law where the testator resided at death. Laws change as well. An out-of-date will may direct assets to inappropriate others, such as former spouses or distant relatives with whom one was once close. Persons selected as guardians of children may no longer be proper. A periodic review of a will’s provisions can address these issues. There are additional elements of estate planning beyond simply having a will. A “living trust” is often a good second step. There are other issues, such as property ownership, titles to property and tax considerations, but executing a valid will is a good first step. A valid will requires specific formalities. There are requirements of witnesses, acknowledgement by the testator and potentially more. These formalities vary from state to state. To be certain a will is “valid” one needs to be sure its creation and execution complies with the relevant law. For example, here are the requirements for a valid will in Florida. “Intestate” describes the situation of someone who has died without a valid will. Intestacy can result from not creating a will, or from the creation of a will that is not valid under the state law applicable when it was made, or is not recognized as valid in the state where the testator resided at death. The use of many terms to denote gender differences has fallen out of style, but traditionally, a woman who executes a will was referred to as a testatrix. The executor does have a special duty known in law as “fiduciary”. This requires the executor to carefully follow the testator’s wishes and do so honestly.